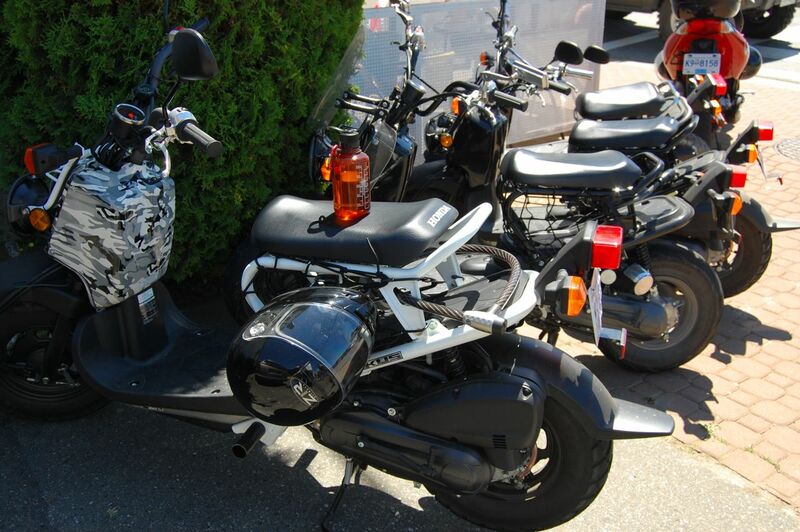 Looking for a Honda Ruckus Windshield? 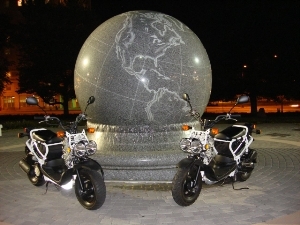 My riding pal Paul has a Honda Ruckus windshield but you’ll never guess how. He bought the plexi-glass himself and cut it out and then heated it up in his oven a bit before bending it in place. He bought bolts and screws to attach it. The best part is you’d never think it was home made! Here’s a photo of his scooter (not the best view as his is behind mine). I’ll have to get him to send me an updated one! 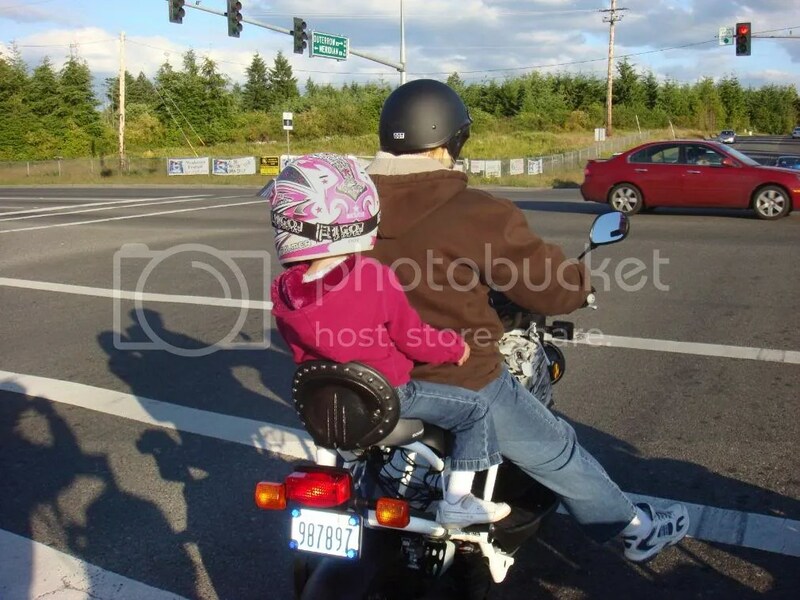 But that is how he got his Honda Ruckus windshield! 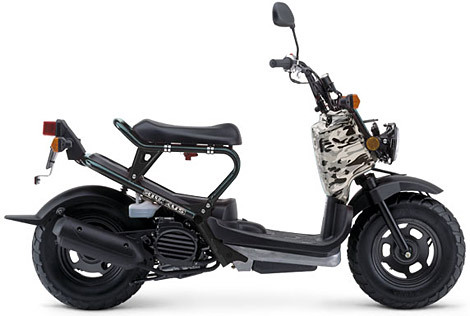 Specs on the Honda Ruckus?